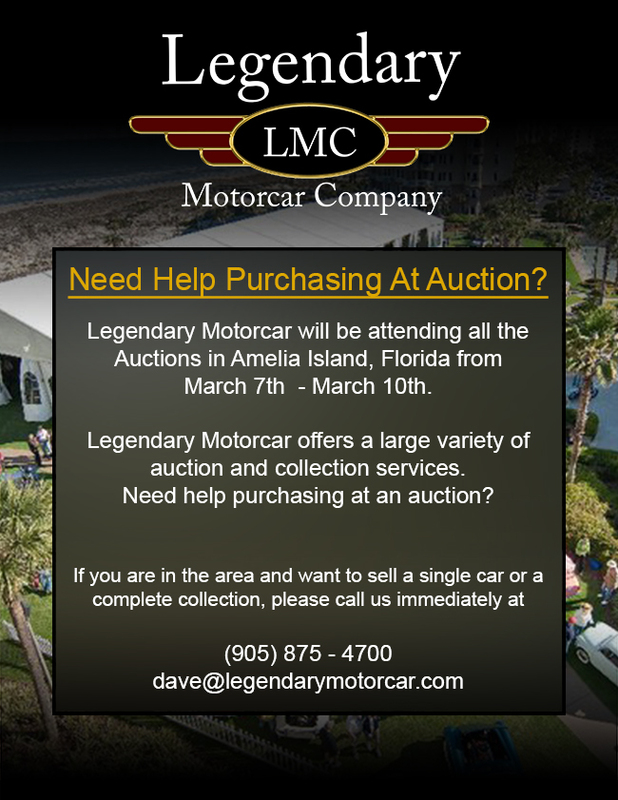 Click any thumbnail below to display the 1965 Sunbeam Tiger Mark 1 slide show. When the small British sports car called the AC Ace was outfitted with American V8 power and called the Shelby Cobra, many people were watching, employees of the Rootes Group, another British car manufacturer included. Inspired by the outcome of the Cobra, they took one of their Series III Alpine roadsters, originally powered by a 1.7L 4-cylinder engine, and sent it right to the source, Carroll Shelby, to see if something similar could be developed. Shelby and another California based racer named Ken Miles set about fitting a small V8 into the little Alpine, in both cases the new, lightweight Ford motor was chosen and successfully put together. Both cars were then sent back to Britain for testing. The Shelby design, with its engine set far back for good balance was chosen and the Sunbeam Tiger was set to be produced by Jensen Motors Ltd. based out of Staffordshire England. 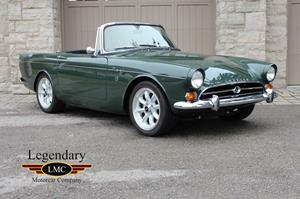 Presented here is an absolutely stunning example of a fully restored Sunbeam Tiger Mk1. Found after being in storage for 37 years with its second owner in Texas, this car was an incredible find. The car was complete and in remarkably great overall condition while still retaining many of its special original parts, based on this it was deemed worthy of a complete rotisserie restoration. USA delivered Tigers also benefited from the availability of LAT options or Los Angeles Tiger options, aftermarket parts recognized by Roots installed by special shops such as Shelby's Southern California shop. This very special Tiger was equipped with several desirable LAT options such as LAT 1, the Sunbeam Tiger Super Induction Kit which included Edelbrock single quad intake and a Holley carburetor, LAT 9 cast alloy wheels and the sought after combination of limited slip axle (LAT 50) and 3.54 ratio (LAT 53). Restored to its original livery of Arctic White with red interior, this car is absolutely stunning from top to bottom. Open the hood and you will find the correct oval air breather on the 260 engine, beautifully detailed; the striking red interior is fully restored to as new condition; the undercarriage also showing as new right down to the detailed suspension components. This special Tiger is said to have had only 3 owners since new and was put into storage in 1975 showing only 27,470 miles. With merely test mileage on the car since the restoration was completed this a car which could be used for show or even driven and enjoyed for many years to come. 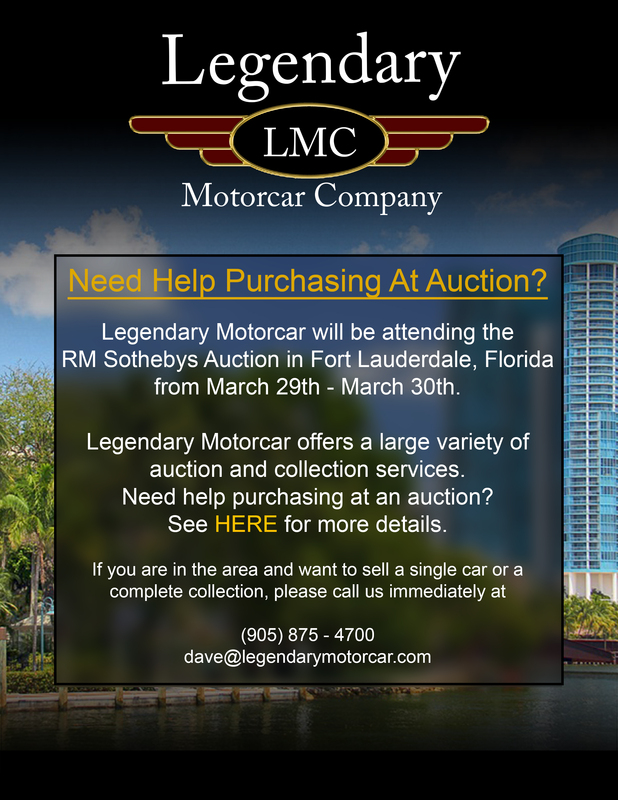 Legendary-Motorcar-Company-Ltd-2015-077 Sunbeam 1965 Sunbeam Tiger Mark 1 2015-077 139900.0000 Legendary Motorcar Company Ltd.